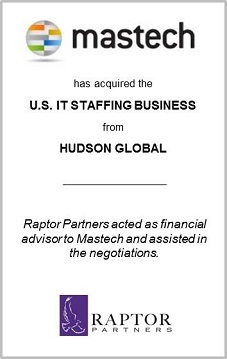 Based in Pittsburgh, Raptor Partners was formed in 2005 by a team of highly experienced corporate finance professionals, with years of experience at international and regional investment banks. 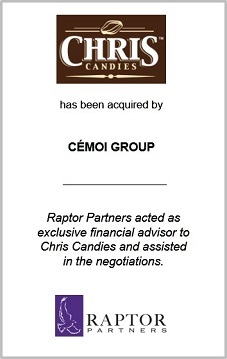 Prior to forming the firm, Raptor Partners’ professionals gained significant M&A advisory, corporate finance and capital raising experience at investment banks such as Kidder, Peabody & Co., Alex. Brown & Sons, PNC Bank and Parker/Hunter Incorporated. 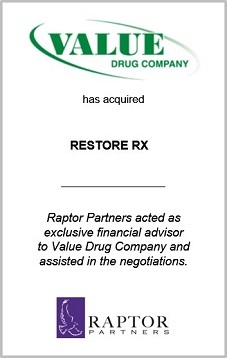 Throughout their careers, Raptor Partners’ professionals have completed over 400 transactions with an aggregate transaction value of nearly $40 billion. 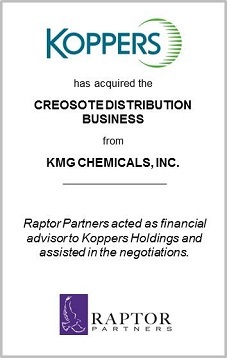 Raptor Partners was formed to provide outstanding M&A, strategic alternatives, corporate finance, capital raising and valuation advisory services to its clients in an unbiased, conflict-free manner. Trust: Provide independent, unbiased advice unencumbered by conflicts of interest. Devotion: Deliver senior-level, focused insight and attention throughout all facets of a transaction. Continuity: Assure continuity of the professional team during the engagement. Execution: Uncompromising attention to details to accelerate and keep momentum throughout the process. Creativity: Generate actionable, creative solutions to resolve any deal impasses. 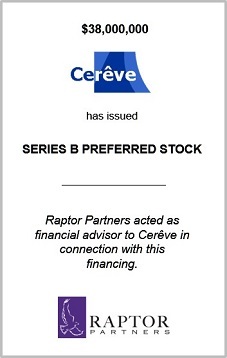 Valuation: Researched focus on the attributes most important to drive valuations. Priority: Never forget our clients’ interests and objectives are our paramount priority. 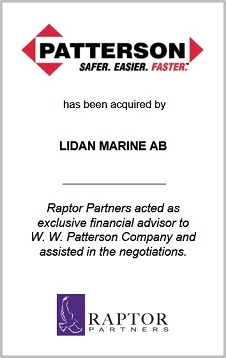 Results: Relentless pursuit of optimizing the transaction to benefit our clients. 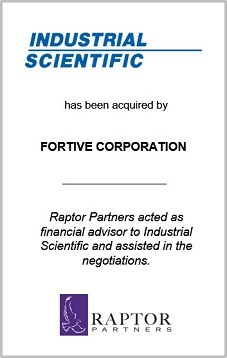 Our focus and commitment to these principles has allowed Raptor Partners to enjoy an exceptional completion rate on our clients’ transactions. 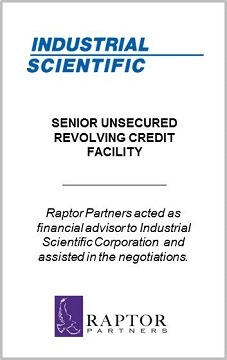 Raptor Partners has completed transactions across a variety of industry sectors including Business Services; Consumer Products & Services; Healthcare, Life Sciences & Safety; Software & Technology; and Specialty Manufacturing.